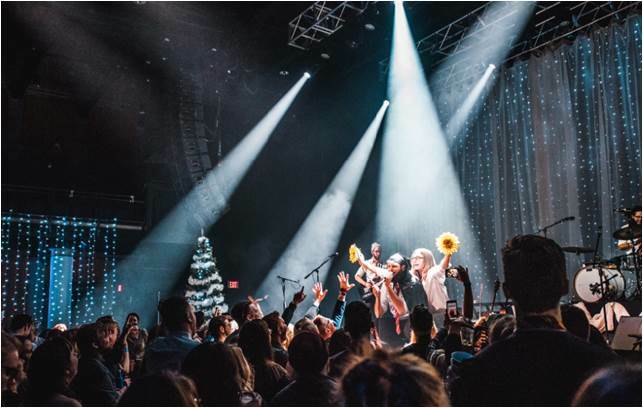 Once again, 20 Monroe Live is hosting the Harry Potter event of the year, the Yule Ball on Saturday, December 8, 2018. Included as one of the events: a photo booth! Pose with "owls", or as a prisoner of Askaban. Last year, attendees were treated to a proposal. Time to show off Grand Rapids' best costumes! Have you ever dreamed of competing in the Triwizard Tournament? Battling dragons, merpeople of the Black Sea, or venturing through the maze? 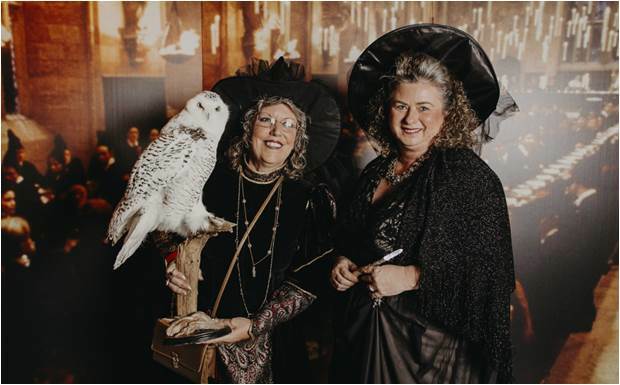 While that’s all stuck at Hogwarts, the Yule Ball is once again coming to Grand Rapids. 20 Monroe Live is hosting their annual event, which includes dinner, a dance, and many other potter themed activities. It’s a must for all Potterheads. Taking place this Saturday, December 8, 2018, the Yule Ball is open to all. Offering General Admission, General VIP, and VIP Dinner, there is something for everyone. General Admission gets attendees a ticket to the dance, where cocktails and mocktails will be enjoyed (lots and lots of Butterbeer!) General VIP includes dance instruction plus a reserved seat. It will also include access to the mysterious Room of Requirement. A ticket to the VIP Dinner includes tickets to a seated Harry Potter themed dinner where ticket holders will be able to play Harry Potter trivia, put on by QuizzoDetroit. There will also be live owls! Returning once again to perform is Harry and the Potters. Hailing from Massachusetts, the band has hits like “Save Ginny Weasley” and “Voldemort Can’t Stop the Rock!” Adding to the lineup is the Michigan rock band, Desmond Jones. Taking influence from Frank Zappa and The Beatles, they’re sure to entertain everyone. You can listen to their debut full-length studio album, Desmond Jones, now. Feel free to dress up in robes, but if not, merchandise will be sold, with vendors such as The Sewing Laboratory and The Moon Sisters, just to name a couple. A costume contest will be held for all the witch and wizard attendees. For more information, visit 20 Monroe Live's page here.